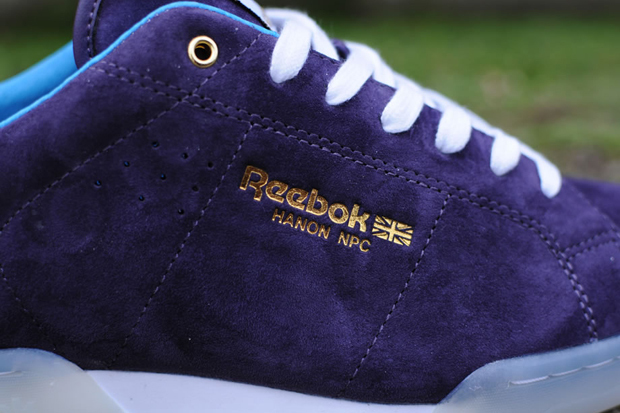 Scotland’s finest sneaker retailer, Hanon, pair off with Reebok to present an update on the classic NPC in the form of this NPC II silhouette. 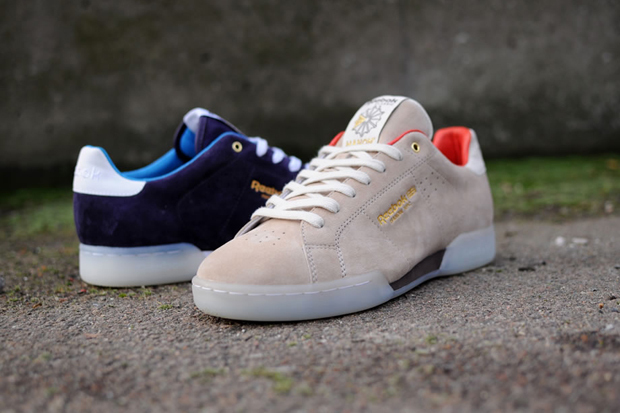 The Newport Classic silhouette embodies Britain during the 80’s, sitting alongside the Workout, Ex-O-Fit and Classic runner as a Reebok shape that’s stood the test of time. 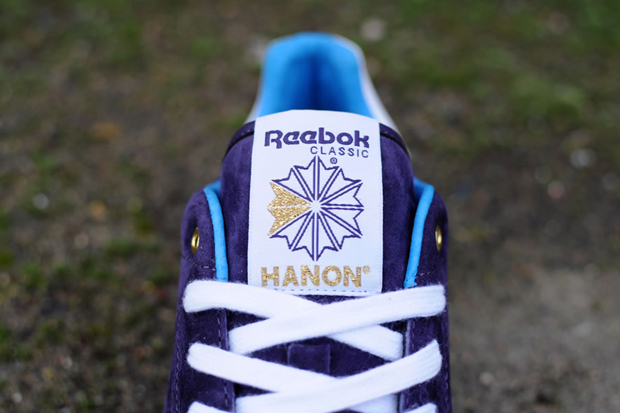 Traditionally coming in white leather, Hanon took this opportunity to rethink the whole shoe and offer up something a little different, whilst still keeping true to the original. 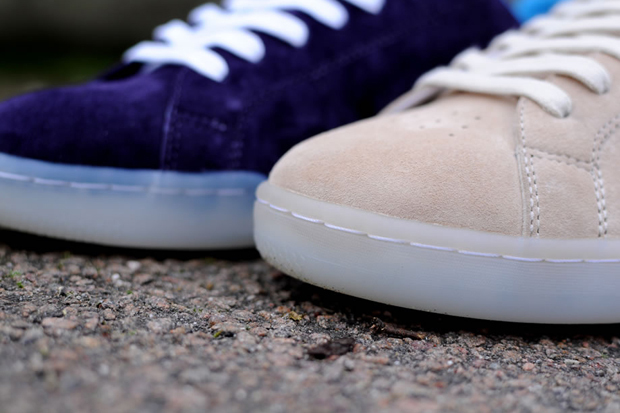 This pack features two colour options; a purple and a cream. 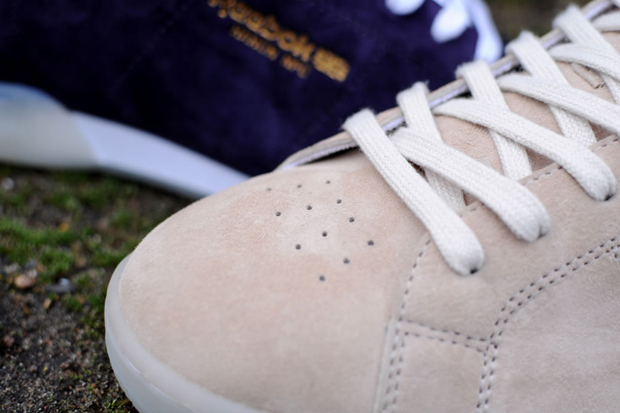 The uppers are a real nice looking pig suede, whilst the lining is finished off in a glove leather. 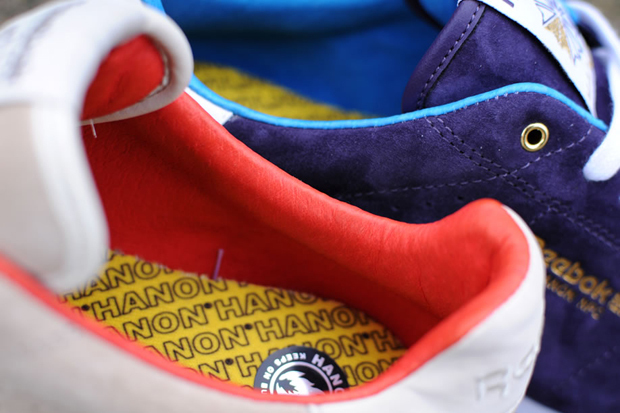 Hanon have decided to bring in a semi-translucent milk rubber outsole to compliment both colour options and give the shoes a really unique look. 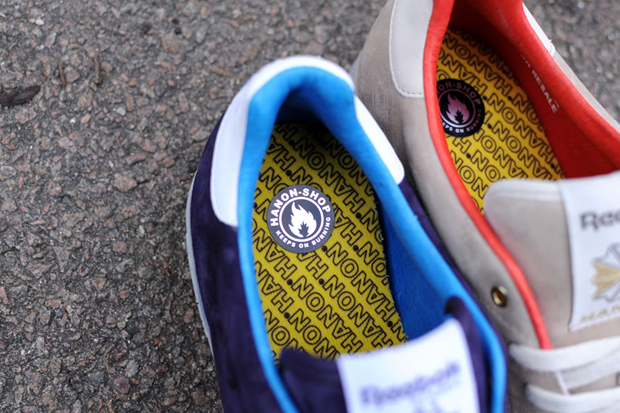 As for the shape, the shoe has less overall bulk, a more refined toe and a slicker sole unit than it’s predecessor. 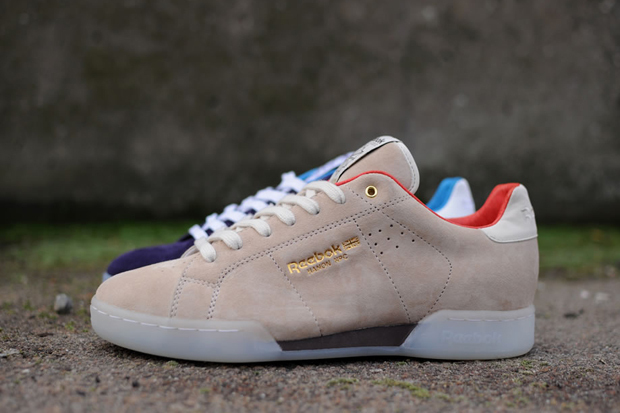 These are finished off with some really nice dual branding, coming by way of a gold deboss on the tongue label, a Hanon insole and gold foil “Hanon NPC” on the side of the shoe. 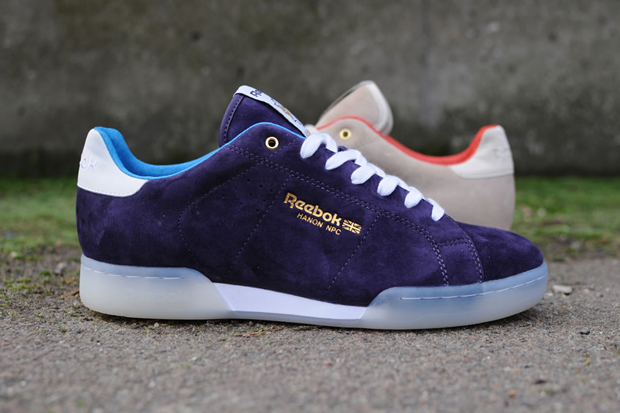 Expect to see these landing later this month at Hanon. 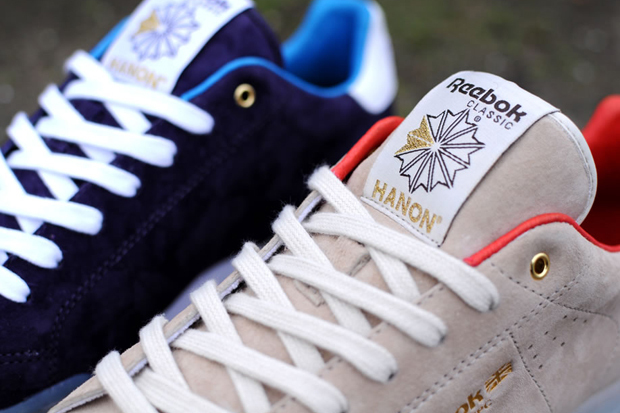 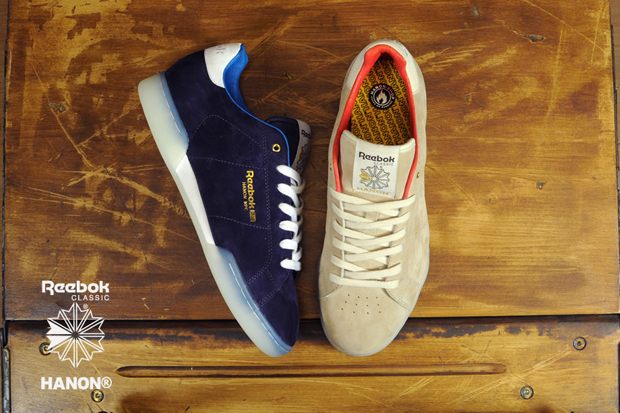 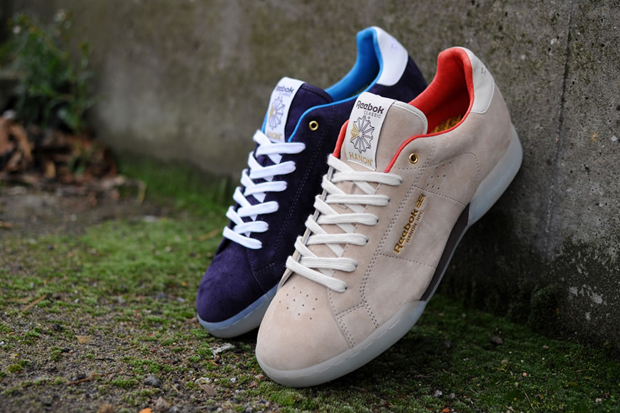 Where can i get a pair of Reebok x Hanon NPC II ?! 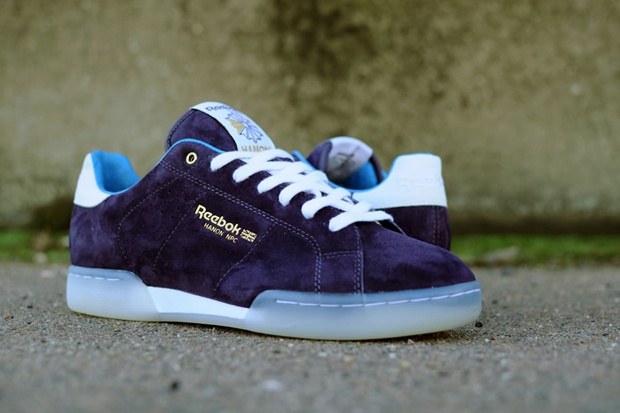 Other than on Hanon as they say they are sold out?